Senior Noah Tally takes a shot. 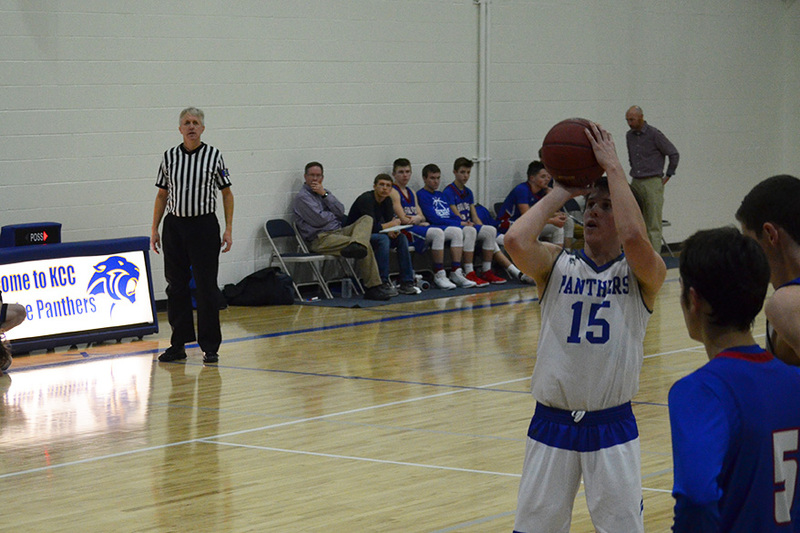 Reigniting the basketball schedule after a long winter break, the KCC Panthers hosted their second home game of the season on the night of Jan. 6. The teams hosted Oskaloosa High School in games for the Boys’ Junior Varsity (JV), Girls’ Varsity, and Boys’ Varsity. The Boys’ JV team came into the game with the mentality of aggressive offense and defense, coupled with fast movements and strong shooting. Junior Drew Hubbel led the team with 33 points, helping contribute to a 70-36 victory. Sophomore Derek Rivas, a member of the JV team, felt that the win was a good representation of the team’s efforts. 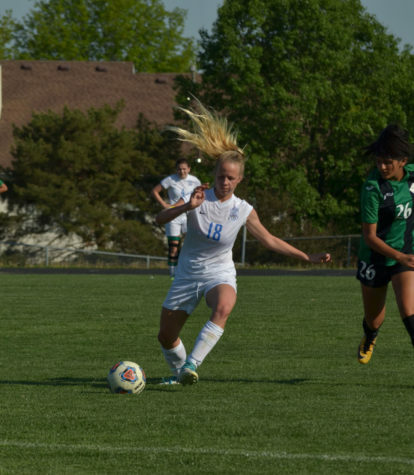 The Girls’ Varsity played a hard-fought game, but ultimately fell to the opponents. The team has been focused on bonding as a team and continuing to build the program for future players. Freshman Caroline Knutson continually looked for opportunities to drive to the basket and boost the team’s offense. Although the game did not turn out the way they hoped, Junior Camile Hardt felt that the team is certainly becoming better friends and teammates. The Boys’ Varsity team worked hard the entire game, earning them a 52-26 victory. Senior Noah Tally opened up the game with a quick three-pointer and continued to contribute alongside the team to continue building their momentum early in the game. Scorekeeper Jared Barker was delightfully entertained by the game and impressed by their performance. The Panthers play their next game on Monday, Jan. 8 at Butler. The next home games will be hosted on Jan. 9 against Sherwood.